To find the conglomeration of mangroves and tropical rain forests along with mountain ranges, coral reefs, and thousands of beautiful islands with world-class beaches all in one place, you must be at Philippines. Nature has blessed the country abundantly, and such is the biodiversity that you cannot ask for more. Here you will find the longest white coastline in the world which is one of the hottest tourist attractions. The country is an ideal destination for travelers looking for a tropical getaway that embraces tourists with unmatched hospitality and provides enough shopping opportunities. 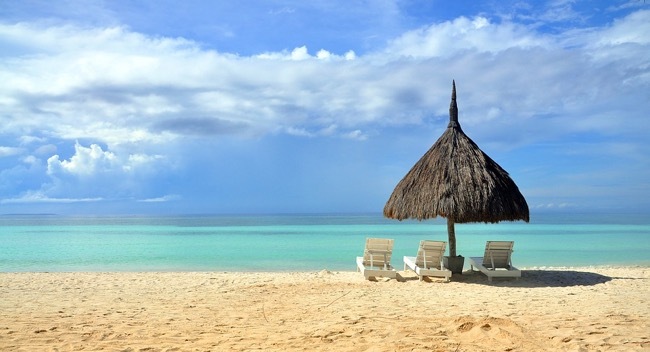 Here is a glimpse of some of the top Philippines beaches. The natural splendor of El Nido has helped the beach to figure in the Top 100 beaches of the world and ranked fourteenth for the years 2016 and 2017 by CNN. The international travel magazine ‘Travel and Leisure’ ranked it as the best island in the world. With its 50 white sand beaches, three major marine habitats, five types of forests and different species of bird, the island is awesome for tourists. Located 315 km south of Manila, the Boracay Island belongs to the province of Aklan. The pristine blue waters and the powdery white beaches have made it one of the most talked about tourist destinations of the country. From scuba diving, snorkeling and other water sports to great nightlife and top class restaurants and pubs, there is something for everyone at Boracay. The island can accommodate about 2000 tourists in 350 resorts that bear testimony to the immense popularity of the place which is undoubtedly the topmost attraction for tourists. The island is isolated and somewhat desolate which only those with an adventurist spirit would like to explore. In the background are the volcanic rocks surrounding the white sands that kiss the bluish-green waters of the sea with the blue sky above making it a picture of raw beauty that mesmerizes everyone. Exploring the rich marine life and the coral gardens is a big attraction as tourists engage in snorkeling and diving. Trekking across the terrains needs some hard work but is pleasantly rewarding as you explore the best beach after crossing the hurdles of mangrove forest, muddy ground, and thorny grasses. Life is slow and lazy in Bantayan as the island is yet far from the touches of modernity barring the presence of some foreigners who have made it their home. The aqua colored waters and white sands create a compelling attraction that provides the rare view of red-gold sunsets which are priceless memories for tourists. It is a perfect getaway from the humdrum of city life as you soak in the hospitality of the local folks who mix and mingle with tourists like friends. The Holy Week before Easter attracts local tourists when the place becomes quite crowded, or else it maintains its peace and quiet for the rest of the year. Whether you love action or quietness, the beaches of the Philippines have it all.